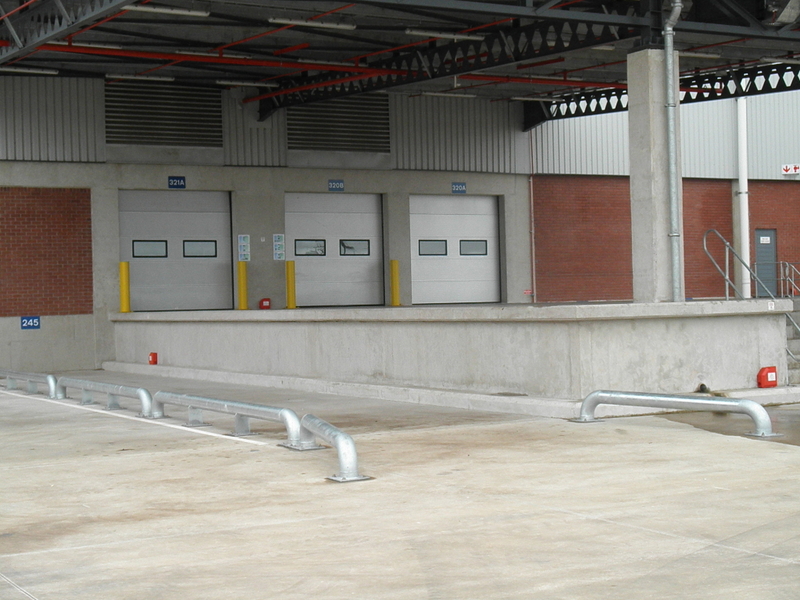 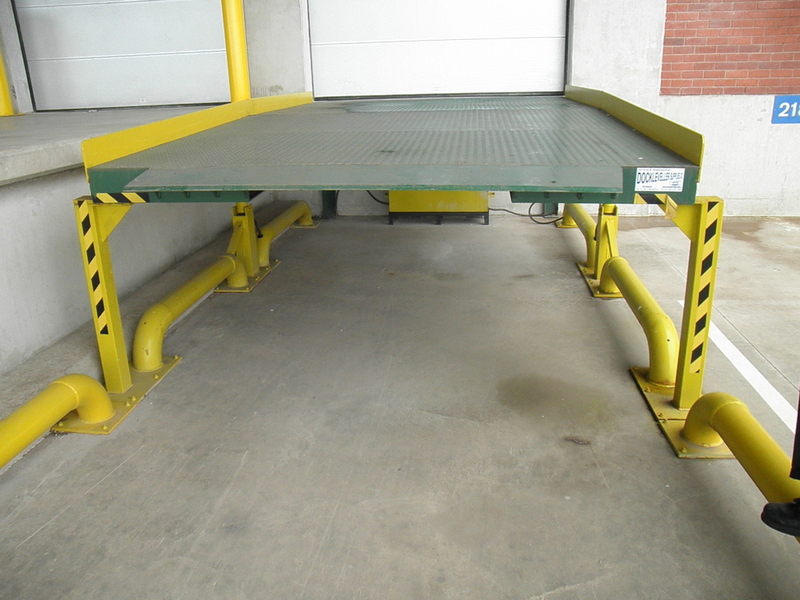 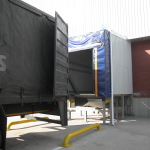 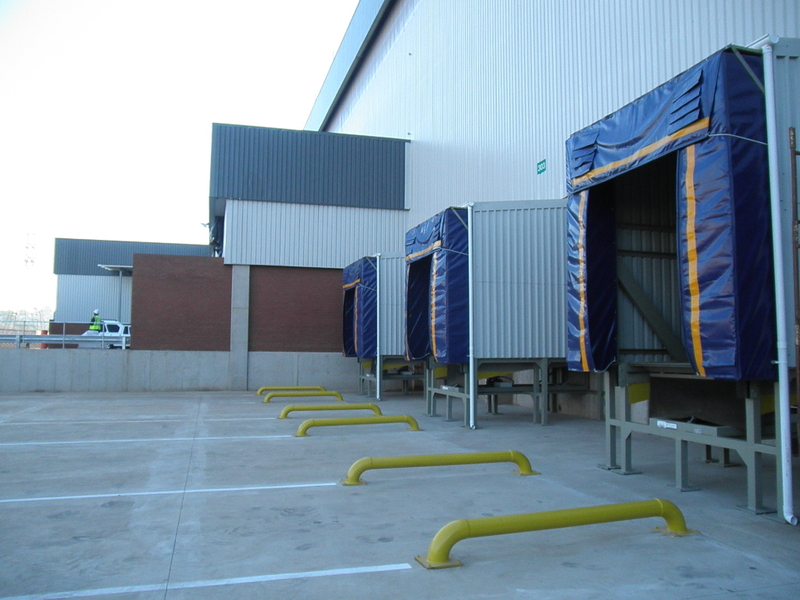 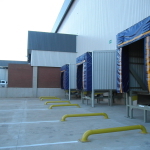 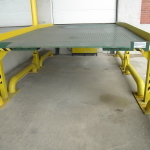 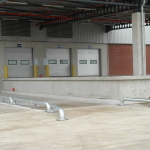 Truck Guides are used to help the truck drivers dock directly in front of the loading bay. 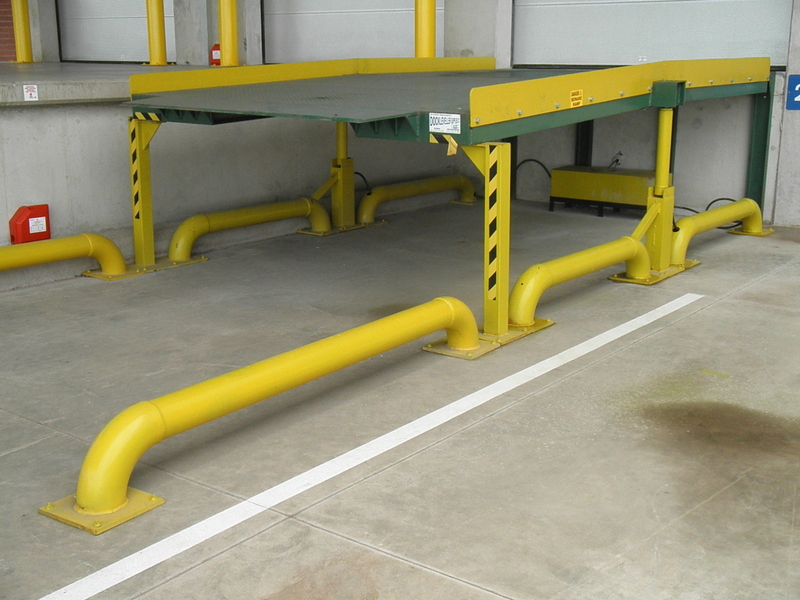 They are both a visual and a physical aid to the drivers keeping the back of the vehicle inline with the bay so no damage is caused to the building by misaligned vehicles. 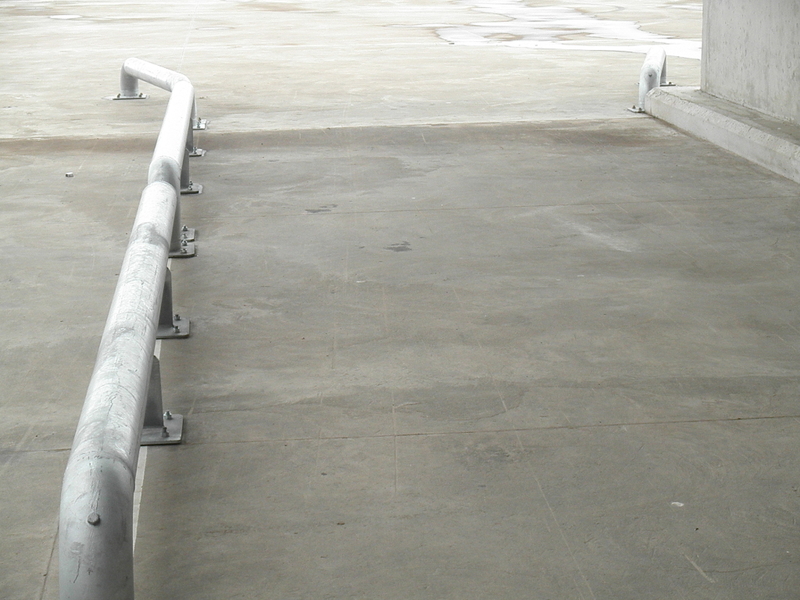 They are fixed to the ground using sleeve anchors. 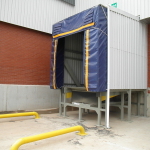 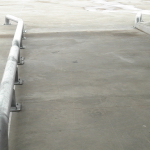 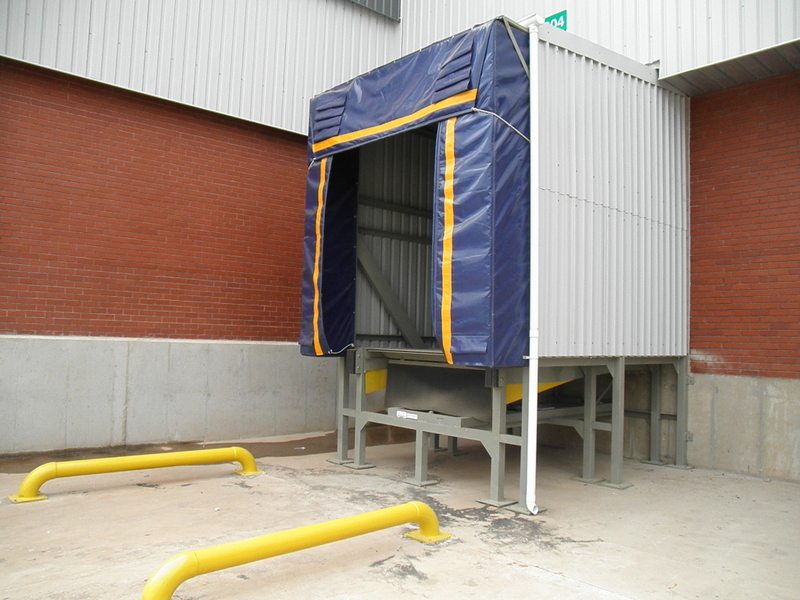 They can be supplied both painted or galvanized. 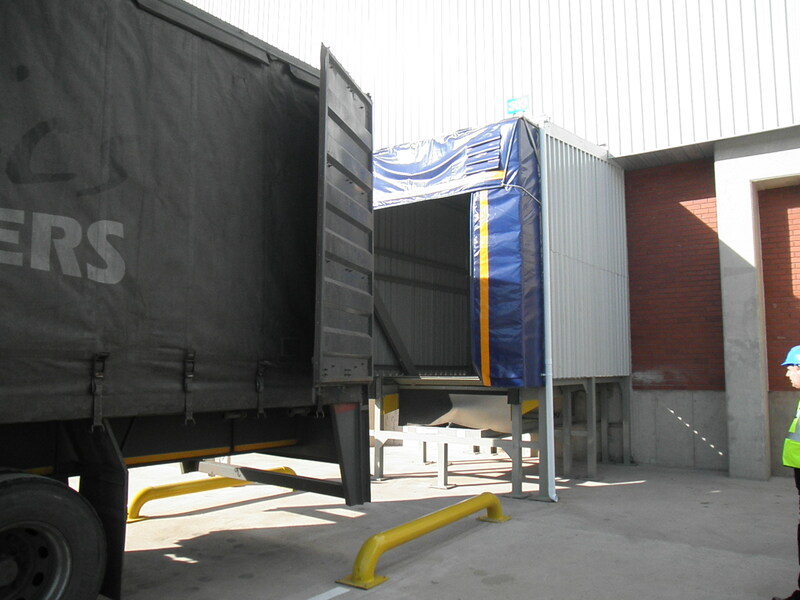 Our standard Truck guides are 2 500 X 250 mm(high), tube 152 O/D x 6 mm wall thickness. 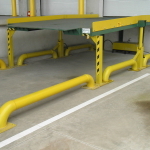 Should it be required we can supply them in different sizes and format as seen in the gallery here.